Brothers Thomas and Somerville Learmonth founded Ercildoun in 1838. 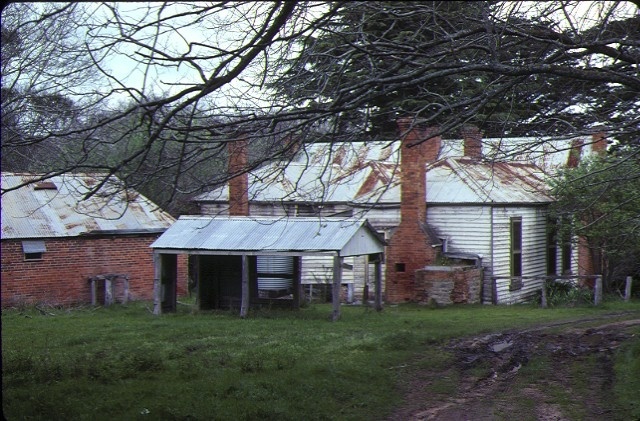 The brothers had been part of an unsuccessful exploration mission into the interior of the colony in 1837, and embarked on another reconnaissance in 1838, which resulted in them running sheep over lands extending from Mt Buninyong to the foothills around where the township of Learmonth is now located. The brothers constructed a number of buildings and structures, and a cemetery at Ercildoun. 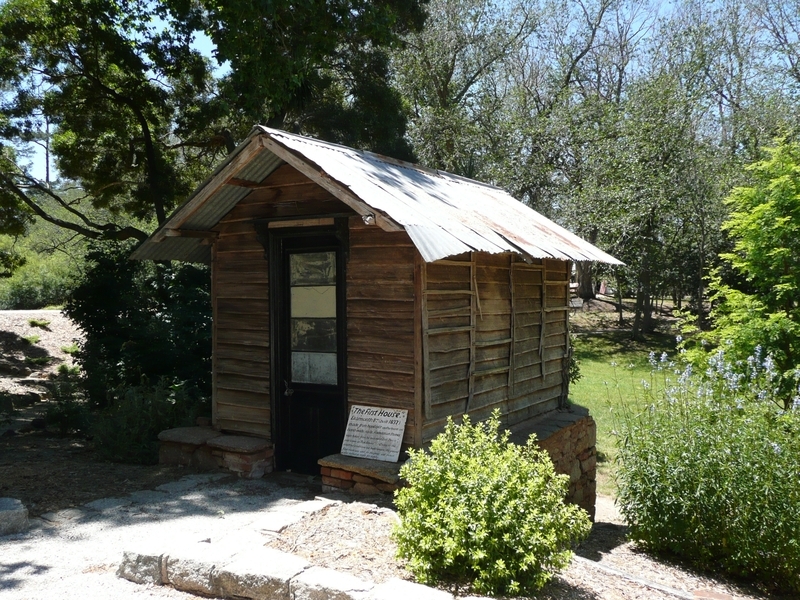 They built the early stages of the homestead in about 1854 and many other outbuildings, and laid the foundations of what was to become a grand and elaborate garden and parkland. They established Ercildoun as a centre for merino wool production and breeding with a reputation unsurpassed in the colony. In 1873, Ercildoun was sold to Sir Samuel Wilson. Sir Samuel Wilson's achievements at Ercildoun included extensive additions to the homestead, the development of the garden to include the long entry avenue of alternating Himalayan Cedar and Monterey Pines, a walled garden, and the establishment of a deer park. He was also involved in the development of one of the first trout hatcheries in the colony, and the continued production of fine merino wool. In 1920 the property was sold to Major Alan Currie. Sir Alan Currie's achievements at Ercildoun included the installation of the hydro-electric scheme, the establishment of a renowned horse stud, and continued involvement in the fine merino wool production and fish breeding. Sir Alan Currie died at Ercildoun in 1942, and Lady Currie continued to live there until her death in 1962. 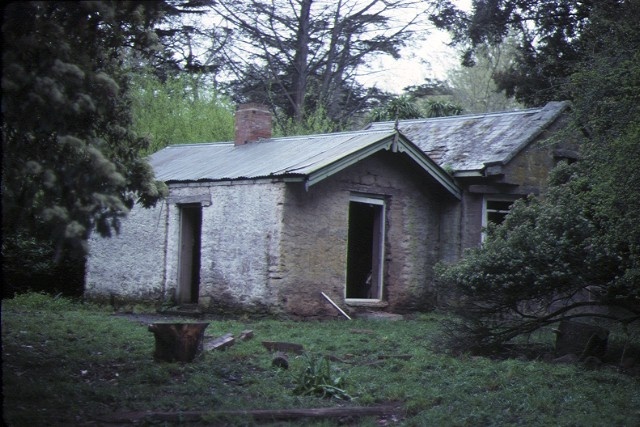 Upon her death, the estate went into decline and the homestead was left vacant for many years. Ercildoun is a pastoral property, comprising a range of buildings and elements dating from at least the mid nineteenth century, through to the early twentieth century. 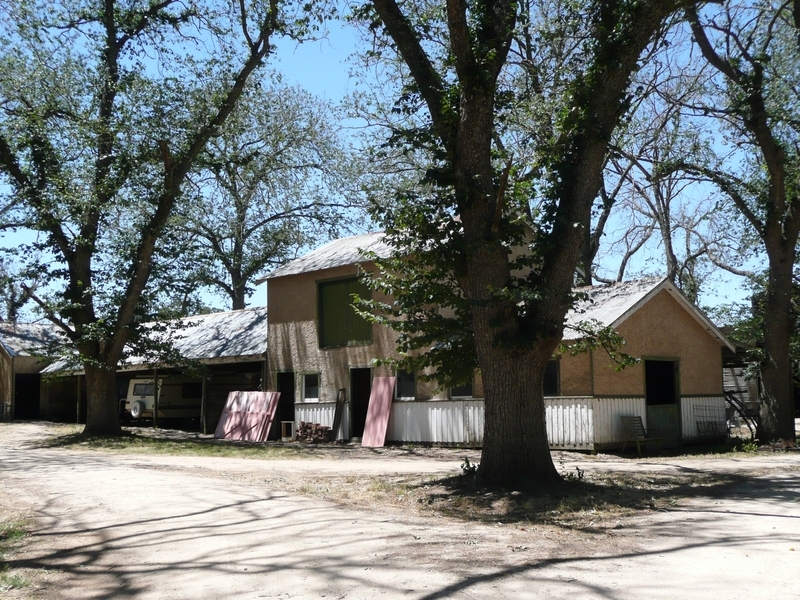 The property has the appearance of a small rural settlement, comprising an array of buildings and elements including the homestead, caretaker's residence, manager's residence, gatehouse, garden plantings and structures, cemetery, waterways and hydro-electric scheme, wind breaks, and a series of farm buildings, including a barn and shearing sheds. A remarkable artefact that covered the Ercildoune garden well is known as the 'Palestinian Well Head'. It is believed to be about 2000 years old and was possibly smuggled out of Palestine or Egypt. The well head, which was installed at Ercildoun by the Learmonths, has been described as being the colour of desert sand, with a peculiar mottled surface and a texture like marble. The hand wrought iron hoist has been described as being of an ecclesiastical design. 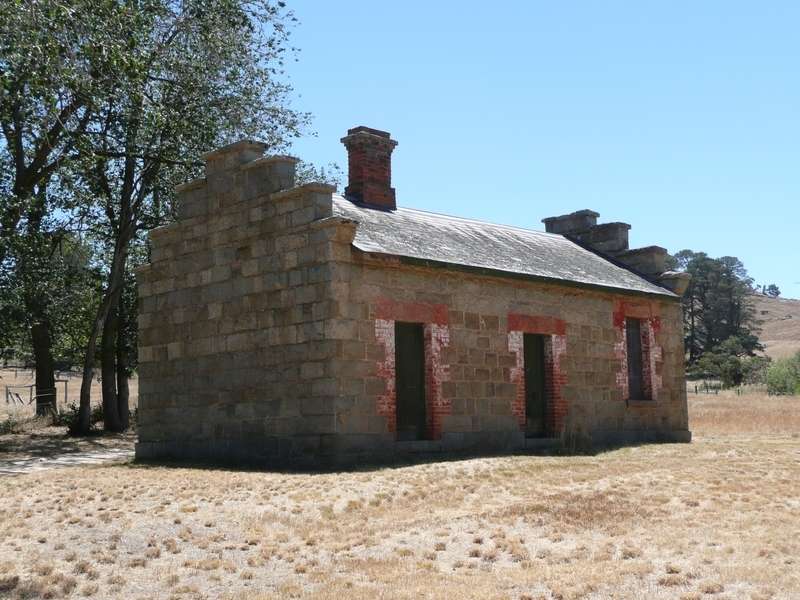 Ercildoun Homestead is of historical, architectural, aesthetic, archaeological and scientific significance to the State of Victoria. Ercildoun is of historical importance for its association with pastoral pioneers and settlers, Thomas and Somerville Learmonth. Many of the buildings and the cemetery are evidence of settlement of this early pioneering family. As well as being prominent figures in the opening up and settling of the Western District of Victoria, the Learmonth brothers were at the vanguard of merino wool production in the mid nineteenth century. Their pure bred merino flock and experiments in the handling and drenching and washing flocks were famous throughout the colony. Ercildoun is also of importance for its associations with miner, businessman, landowner, politician and patron Sir Samuel Wilson, the owner of the property from 1873-1920. Wilson was a man of considerable wealth, who had early success as a miner, and later established a supply carrying business to the goldfields. He acquired vast tracts of pastoral land in Victoria and also served the State as a politician. He gave generously to a range of charities and institutions. Sir Alan Currie who lived at the property from 1920 until his death in 1942 had a lifelong association with the Australian turf, culminating with him being appointed chairman of the VRC in 1935. He had been honoured with the military cross for distinguished service in World War 1 and served as a Member of the Legislative Council. 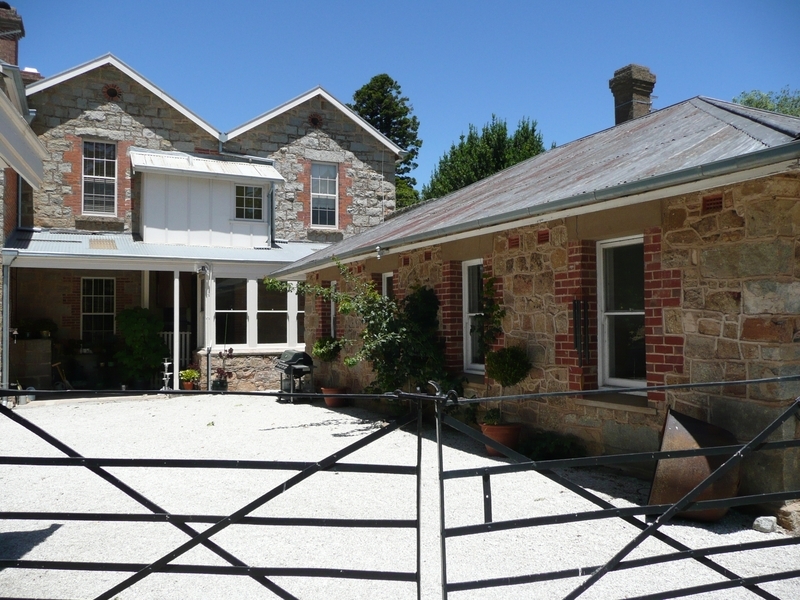 Ercildoun is of historical importance as a large and relatively complete collection of buildings relating to operation as a centre for merino breeding and fine wool growing. 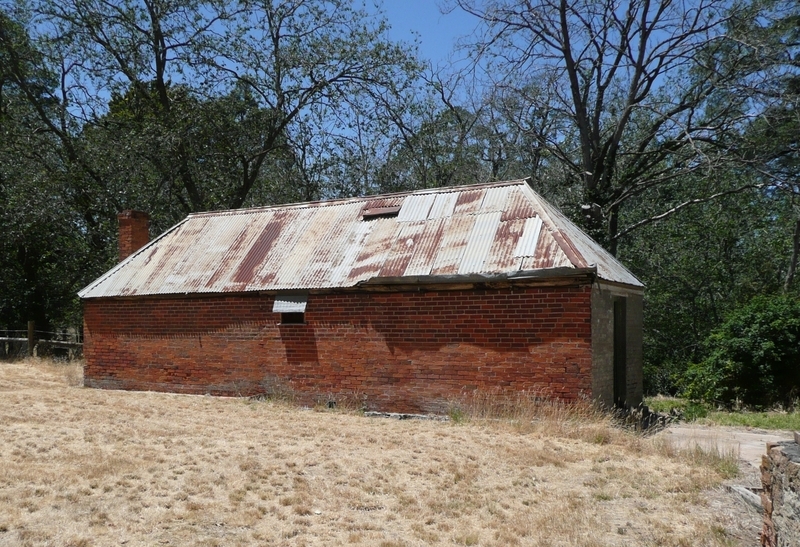 Buildings and structures still extant, relating to the operation of Ercildoun as a large sheep station include the shearing shed and sheep yards, sheep wash and shearer's living quarters. The remnants of the sheep wash are a rare surviving example illustrating the process, which became outmoded from around the 1890s. The substantial scale of buildings relating to wool production at Ercildoune, both existing and demolished, attest to the size of the fine wool growing enterprise at Ercildoune. 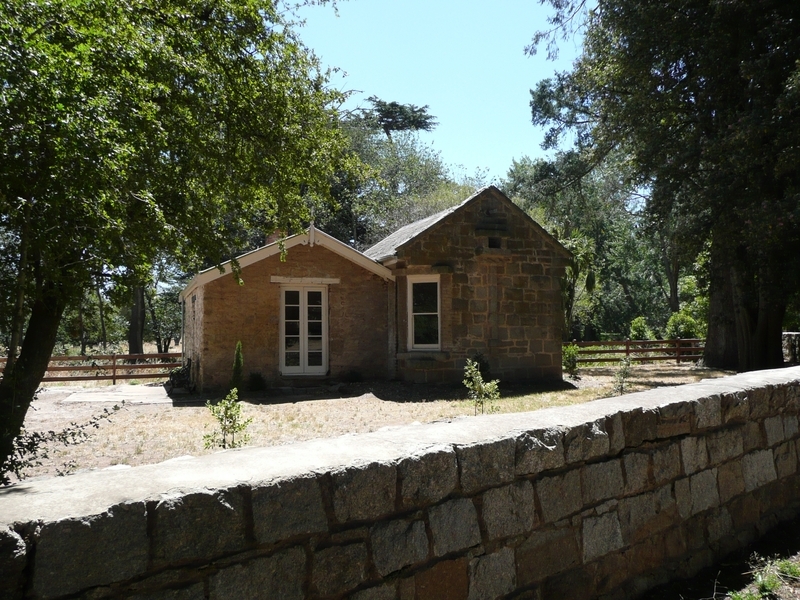 Ercildoun is of architectural importance for its fine and unusual collection of granite buildings and structures, including the homestead, water tower, gatehouse, old men's quarters, stables, walled garden and fences. 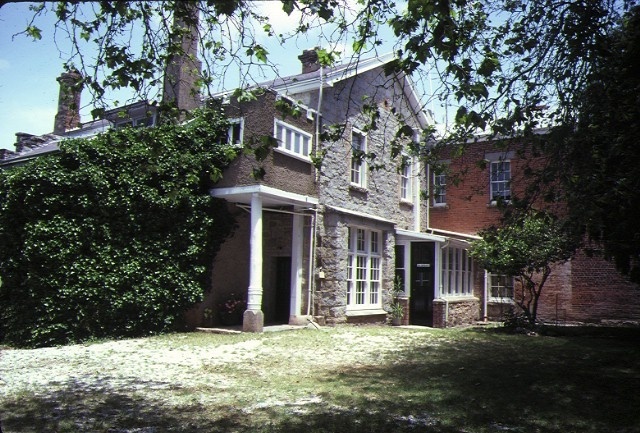 The Ercildoun homestead is of architectural importance as a substantially intact example of a pastoral homestead constructed in the rare Scottish Baronial style, a style also used for the old men's quarters. The Ercildoun garden and parkland is of aesthetic and historical significance as an extensive picturesque landscape which includes a diverse collection of plants along a narrow valley that has been transformed into a series of dams and lakes at the foot of the rocky Mount Ercildoun. 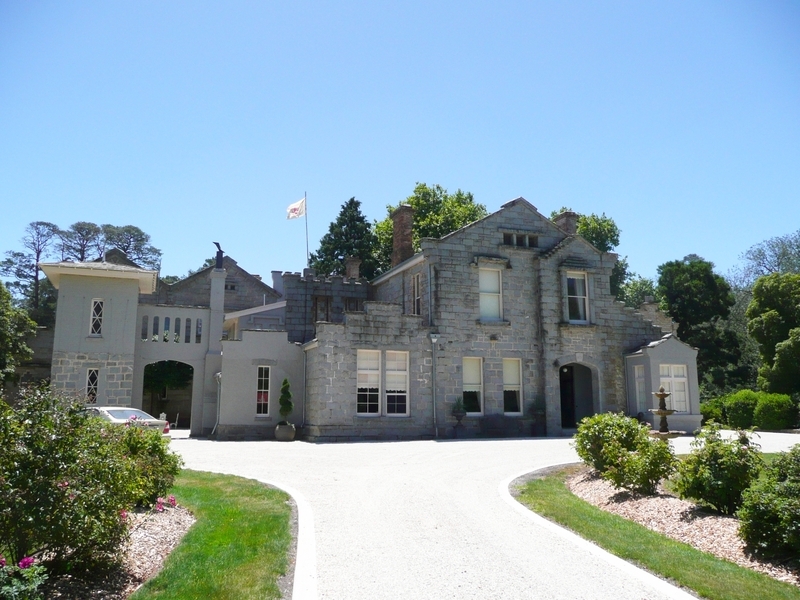 The designed landscape around the homestead and farm buildings, comprising deciduous and evergreen trees, palms and hedges, and the extensive use of water in the landscape, and the long avenue of Himalayan Cedar and Monterey Pines has very few comparable examples in Victoria. The garden includes a large, diverse and unusual range of exotic and native mature trees, shrubs and water plants. 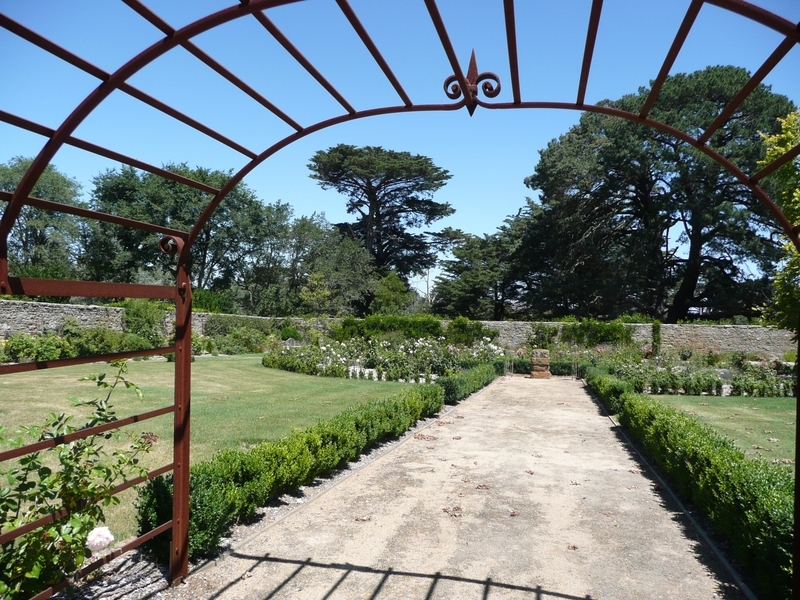 The one-acre garden enclosed by a three-metre high granite garden wall and decorative wrought iron gate is the only walled garden of this scale in Victoria. 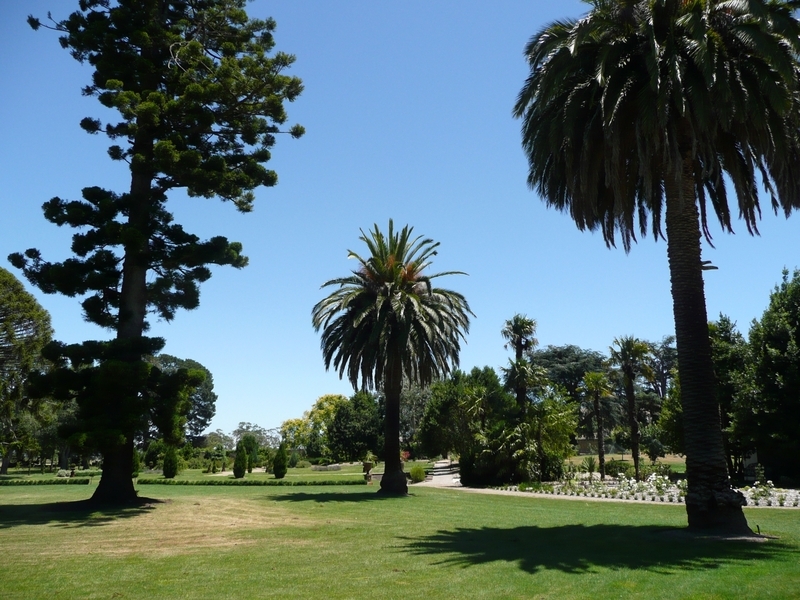 Other important garden features include a tennis court built in 1907 for use by Dame Nellie Melba who leased the property for six months, and a low granite garden wall and wrought iron gates bisecting the garden and parkland to the south of the homestead. Ercildoun has archaeological significance for its potential to reveal below ground archaeological remains and artefacts relating to a number of buildings, structures and landscape elements. Records show the layout of the garden and parkland has been modified including removal of paths and beds, hedges and the walled garden planting. The sheep wash adjacent to the shearing shed contains a number of above ground artefacts, and the area has high archaeological potential to provide a clearer understanding of this early and complex wash, which included a boiler, raised tanks, spouts, washpools and water channels. Ercildoun is of scientific and historical importance for its private hydro-electric scheme, installed by Sir Alan Currie in 1925. The installation is one of only three known examples of private hydro-electric schemes in Victoria, with others occurring at Carranballac and St Filian. Though not currently in operation, the scheme retains its main components, including the dams, holding tank, water race, generator and switchboard. 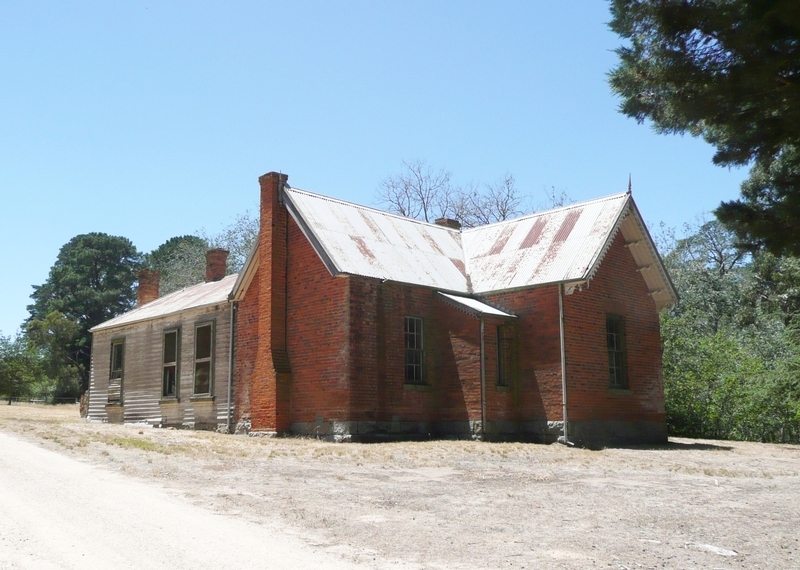 Ercildoun is of historical and scientific importance for the existence of a series of waterways, where Sir Samuel Wilson developed his fish hatchery, believed to be one of the first trout hatcheries in Victoria. 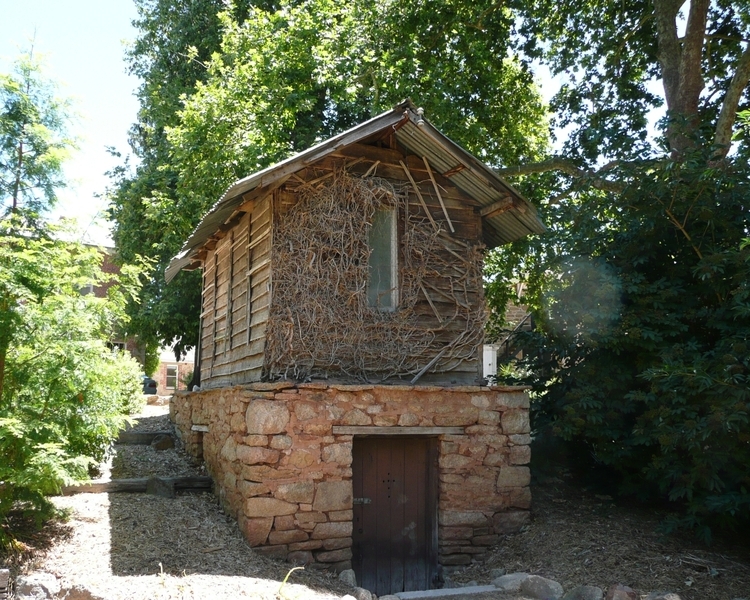 Ercildoune Homestead, Ercildoune, Pyrenees Shire Council. 1. 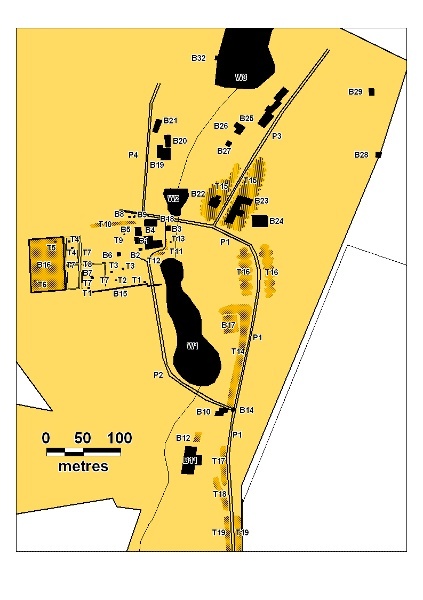 All the following Buildings marked on Diagram 313 held by the Executive Director: B1 Homestead, B2 Water Tower, B3 Hut, B4 Stables, B5 Caretakers Residence, B6 Toilet, B7 Well Head, B8 Bell, B9 Petrol Pump, B10 Gatehouse, B11 Shearing Shed & Sheep Yards, B12 Sheep Wash, B13 Property Gate, B14 Garden Gate, Granite Walls & Lamps, B15 Granite Wall & Gates, B16 Walled Garden, B17 Tennis Court, B18 Wooden Gate & Posts, B19 ManagerÕs Residence, B20 Outhouse, B21 Old Men's Quarters, B22 Cottage, B23 Generator Room/Tack Room/Blacksmith/Coach Storage, B24 Barn, B25' Quarters, B26 Toilets, B27 Meat Room, B28 Slaughter House, B29 Doghouse, B30 Bay Brann Grave, B31 Cemetery, B32 Boat House Stumps. W1 Ornamental Lake, W2 Dam, W3 Reservoir & Swimming Hole, W4 Centenary Reservoir, W5 Pond, W6 Water Channel, W7 Bishops Dam. 3. All of the following landscape features marked on Diagram 313 held by the Executive Director. P1 Ercildoune Drive, P2 Homestead Drive, P3 Bishops Dam Drive, P4 Manager's Residence Drive. T1 Araucaria Bidwilli x 2, T2 Araucaria cunninghamii, T3 Phoenix canariensis, T4 Cedrus atlantica f. glauca x 2, T5 Phoenix canariensis, T6 Ulmus glabra 'Lutescens', T7 Buxus sempervirens hedges, T8 Laurus nobilis & pittosporum eugendiodes hedge, T9 Olearia paniculata, T10 Coprosma reopens hedge, T11 Viburnum Tinus hedge, T12 Rhododendron cultivars, T13 Sequoia Sempervirens, T14 Cupressus macrocarpa hedge, T15 Ulmus procera & Quercus robur plantation (rows), T16 Populus nigra 'Italica' avenue, T17 Crategus monogyna hedge, T18 Maclura pomifera row, T19 Pinus radiata & Cedrus deodara avenue (alternate planting). 5. All of the following objects: The Hydrolectric Plant. 6. 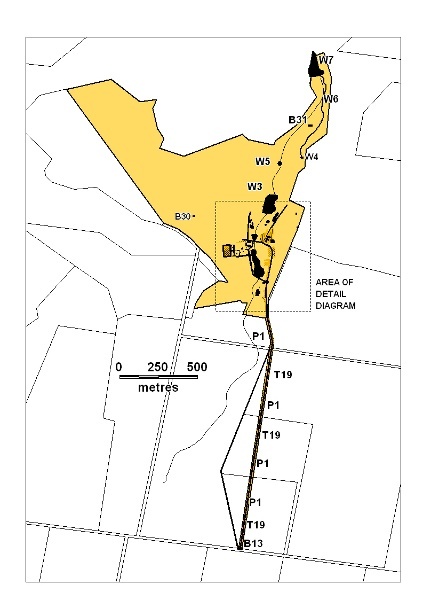 All of the land marked L1 on Diagram 313 held by the Executive Director being described in Volume 10209 folios 184 and 185 and parts of the land described as Vol 8823, Folios 336, 343, 345, 347 and 348. Prior to 1855, the lands of Australia were held to be the property of the Crown. Occupation of these lands was not authorised until 1833, when Acts of the Legislative Council in Sydney placed the squatters under the control of Commissioners of Crown Lands. Further Acts in 1839 and 1838 augmented the authority of these officials and tightened up the conditions. The first pastoral licenses were issued in Port Philip in 1838. Throughout 1837, there had been a constant stream of traffic across Bass Strait from Tasmania to Victoria, as pastoralists Tasmania moved flocks of sheep over to utilise pastoral lands opening up in the new colony. At the same time, pastoralists travelled south overland from the colony of New South Wales, crossing the Murray River to occupy new grazing lands. Thomas Learmonth and his brother brought 2000 ewes over from Tasmania at this time, and drove them up towards the head of the Barwon River, where they formed the first of their stations. Their flock soon outgrew the limits of the land around Geelong, and they joined the first party of settlers to push inland towards the Ballarat area. 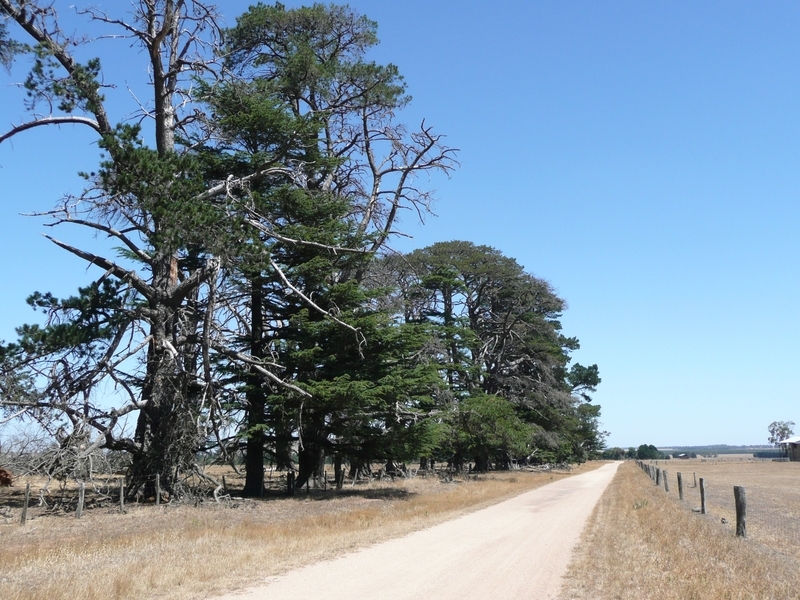 Though their expedition in 1837 ended in disappointment, another expedition in 1838 lead to the Learmonth Brothers running their sheep over the tract of land that extended from Mt Buninyong to Lake Burrumbeet. Ercildoune was first settled by Thomas and Somerville Learmonth in 1838, though aboriginal inhabitants had, of course already thoroughly explored the region before Europeans settled in the area. The name Ercildoune was derived from the Gaelic term Arciol Dun, which means lookout hill so named after an old keep on the Scottish border with which the name of their ancestor Thomas Learmonth (Thomas Le Rhymer) is associated. Later, the brothers shipped out a stone from Thomas’ 13th century keep and placed it in a small replica of their ancestor’s tower. The stone, which is now incorporated into additions to the homestead, is identified by a plaque on the wall at the north end of the ballroom. The Learmonth brothers were prominent figures in the opening up and settling of the western District of Victoria and were at the vanguard of merino wool production in the mid-nineteenth century. Their pure bred merino flock and experiments in the handling, drenching and washing of flocks were famous throughout the colony. The Ercildoune estate developed into something of a village, with quite a collection of lodgings and outbuildings and even had its own school and gaol. In 1873, Ercildoune was acquired by Samuel Wilson. 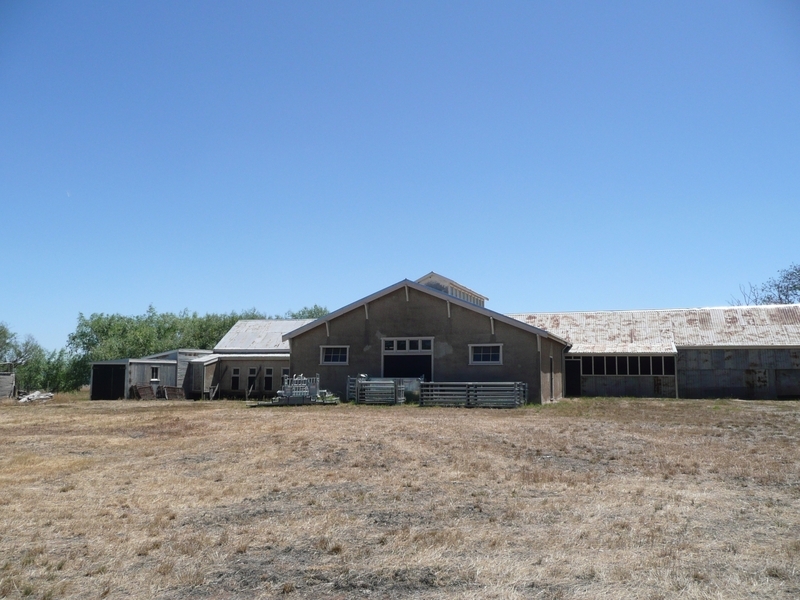 By this time the property consisted of 26 000 acres and was a renowned merino stud. Wilson was a man of considerable wealth, who had been involved in linen manufacture in Ireland before immigrating to Australia in 1852. He had early success as a miner in Ballarat and Bendigo, and later established himself as a carrier of supplies to the goldfields. He amassed extensive tracts of land in the Wimmera and Murrimbidgee and was a part owner of the famous Longrenong Station. He entered politics as a member of the Legislative Assembly for the Wimmera, representing this area until 1864, and gave freely to various charities and institutions, including the University of Melbourne. He contributed to the cost of the original Wilson Hall, which was named after him. In 1875, he was knighted and also became a Member of the Legislative Council for the Western Province, serving until 1881. In addition to carrying on with merino sheep breeding Sir Samuel Wilson established one of the first fish hatcheries in the colony, and was an ardent and practical advocate of the Angora goat, and ostrich farming. In 1881, Sir Samuel Wilson retired to England to live but visited Ercildoune for a period of over 12 months in 1893. Two sons were living at Ercildoune when his death was reported in 1895 though it would appear that they did not reside there all the time. The estate was vacant for extended periods of time and was administered by trustees until it was purchased by Currie in 1920. In 1920 the trustees of the late Sir Samuel Wilson sold the property to Major Alan Currie. The purchase included 8000 acres, less than the 26000 acres purchased by Wilson. Currie also bought the house with furniture, and livestock including cattle, horses and approximately 10 000 sheep. 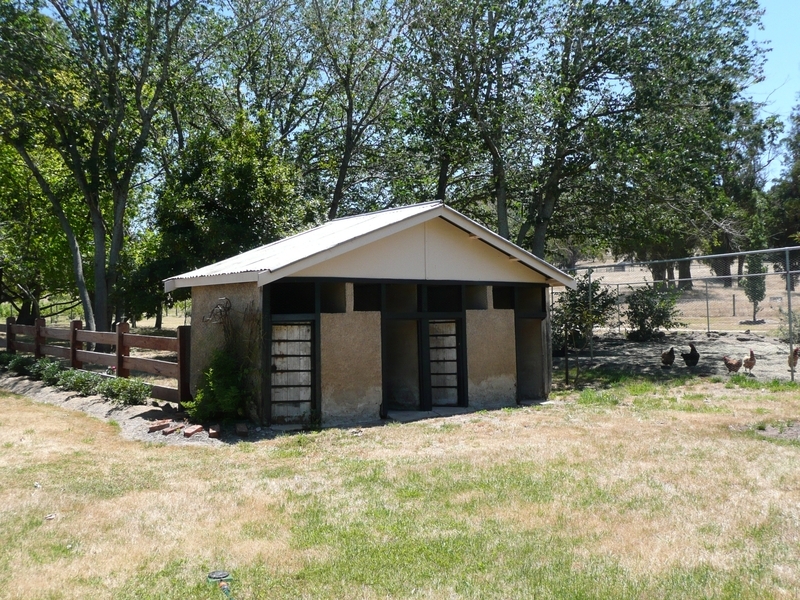 Currie continued on with the fine-wool merino stud, and maintained an interest in the fish hatchery established by Sir Samuel Wilson, but also established a famous horse stud and installed the hydro-electric system. Currie had a lifelong association with the Australian turf, culminating with him being appointed chairman of the VRC in 1935. He was also honoured with the Military Cross for distinguished service in World War 1, and from 1928, served as a member of the Legislative Council for the Nelson Province upon his return to Victoria. He was knighted in 1937. Sir Alan Currie died at Ercildoune in 1942, but Lady Currie continued to live on there until her death in 1962. Upon her death, the estate went into decline and the homestead was again left vacant for many years. A collection of personal effects including books, artwork and furniture were bequeathed to the Ballarat Fine Art Gallery by Lady Muriel Currie in memory of her husband in 1949 and 1959. There are 191 pieces in the collection. In 1964, the Briody brothers, Kevin, Phonnie, Jack, Jim and Pat purchased Ercildoune from the beneficiaries of the late Sir Alan Currie. 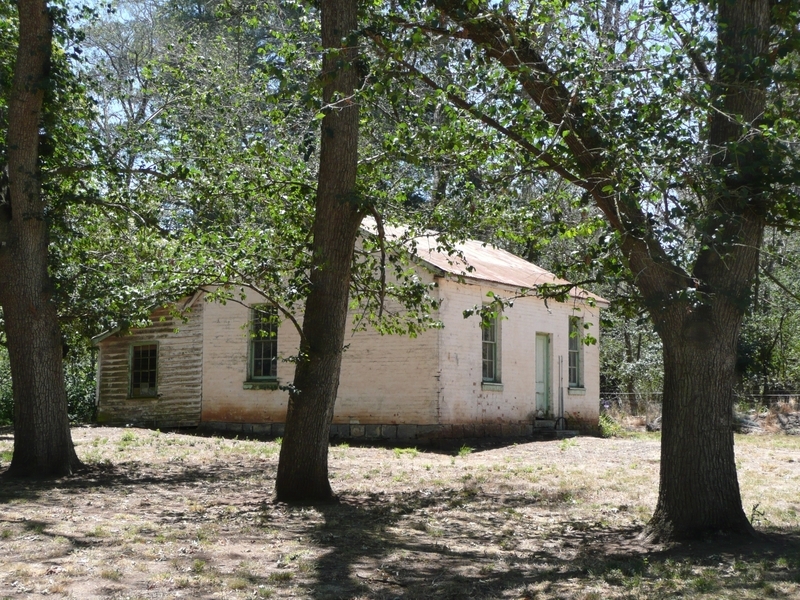 The Briodys continued to work the land for wooland beef production, but the homestead, its garden and the various outbuildings slowly fell into decline. Yet despite this, much of the hard structure, such as the granite garden wall, the Palestinian marble well head, the stone base of the former stone sundial, and many of the buildings remain intact. Similarly, many of the large mature exotic and native trees survived, and the waterways remained, though they have silted up over time. 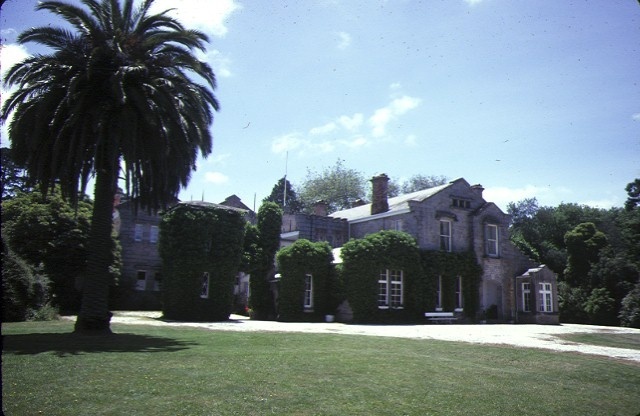 The Riddoch family purchased the core section of the property in 1993. Their property, which is approximately 180 acres in area, takes in most of the elements of significance, though it does not include a substantial portion of the original driveway avenue, the upper dam and the slaughter house. Ercildoune was first settled by Thomas and Somerville Learmonth in 1838. In 1920 the trustees of the late Sir Samuel Wilson sold the property to Major Alan Currie. Dame Nellie Melba leased property in 1907 for 6 months. 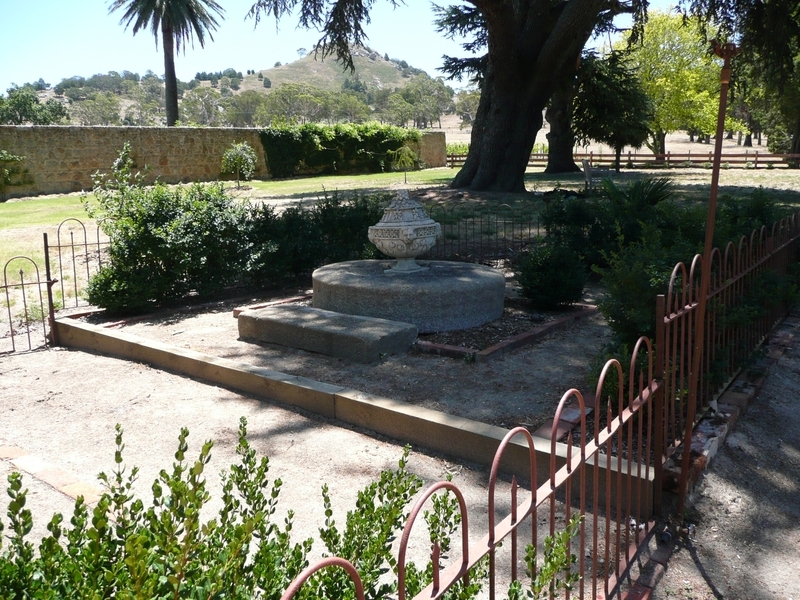 Ercildoune has strong historical associations with pastoral pioneers and settlers, Thomas and Somerville Learmonth, who were early, and among the most highly regarded, merino wool producers in the colony of Victoria. 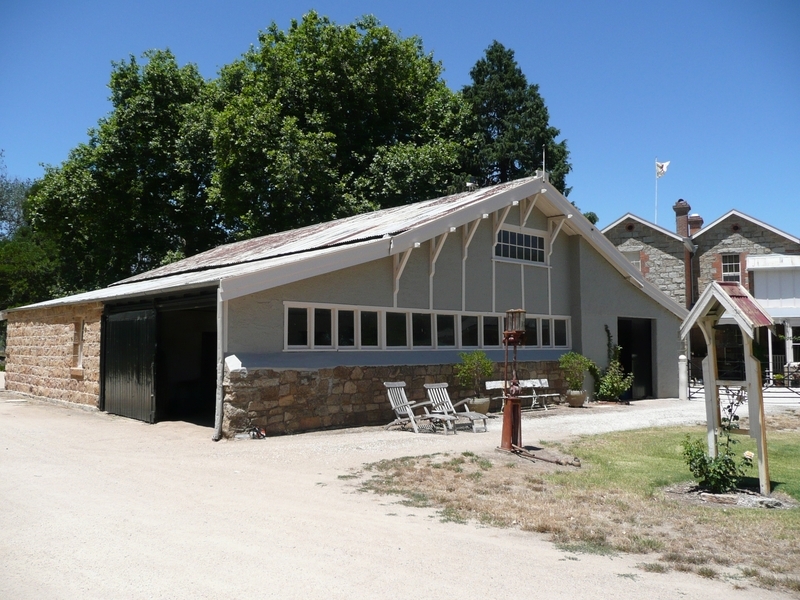 Ercildoune is of historical importance as a large and relatively complete collection of buildings relating to the operation of Ercildoune as a centre for merino breeding and fine wool growing. 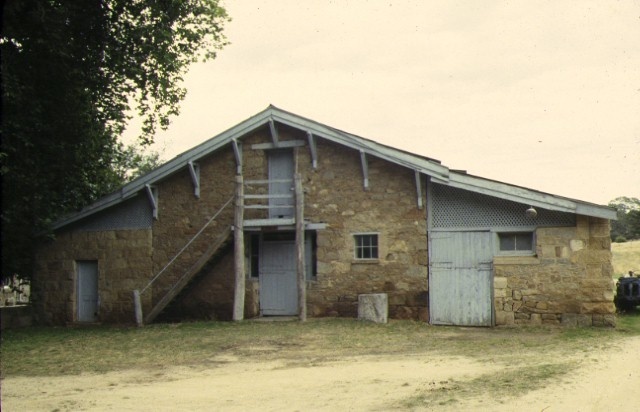 Buildings and structures still extant, relating to the operation of the property as a large sheep station include, the shearing shed, sheep yards, shearer's living quarters and sheep wash. The existence of a small private cemetery, with graves dating from at least the 1850s is of historical importance. The remnants of the sheepwash are a rare surviving example illustrating a process, which became outmoded from around the 1880s. 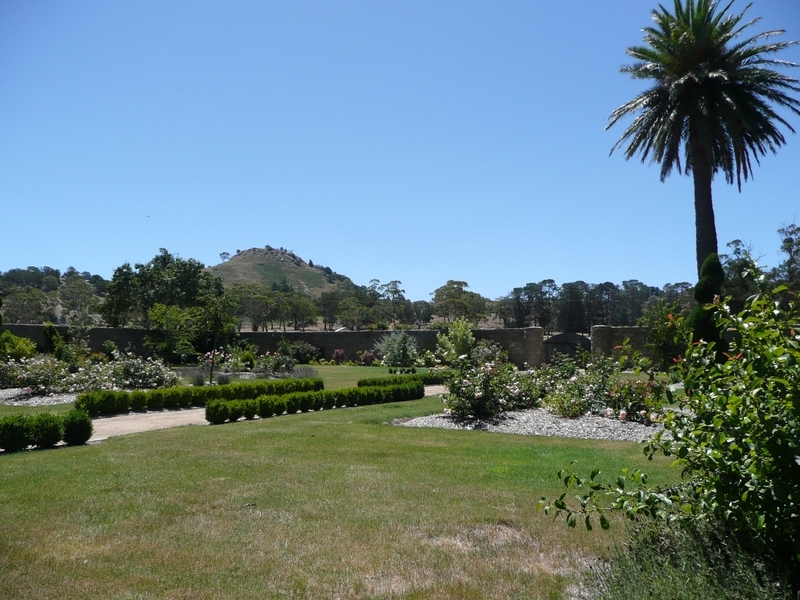 The one-acre garden enclosed by a three-metre high granite garden wall is believed to be the only walled garden of this scale in Victoria. The hydro electric scheme which was installed by Sir Allan Currie in 1925 is one of only three known examples of private hydro-electric schemes in Victoria. Ercildoune is of importance for its ability to demonstrate aspects of processes used on a large farm property. These include the hydro electric scheme, the operations of a large farmhouse and the process of wool production (sheep washing and sheering) and a fish hatchery. Ercildoune contains a diverse range of buildings, which are early representatives of their building types relating to the establishment of an early sheep station. Ercildoune contains a fine and unusual collection of granite buildings and structures, including Ercildoune Homestead, an early and substantially intact example of a pastoral homestead constructed in Scottish Baronial style, a style not widely employed in Victoria. Other buildings such as the gatehouse, the stables, and the old men's quarters, reinforce the rustic, solid character of the complex. It is of importance as it includes an extensive and substantially intact garden, representing a cultural landscape of unusual richness and diversity. 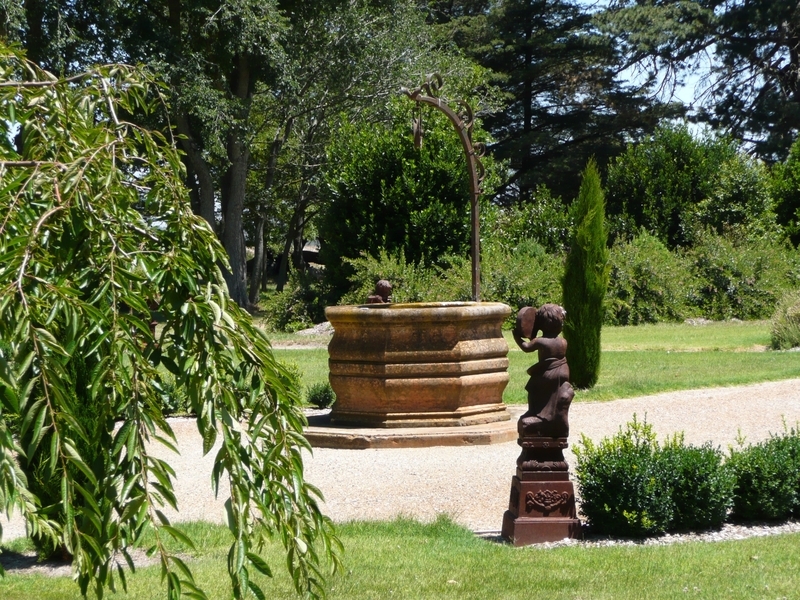 The garden includes a large, diverse and unusual range of exotic and native mature trees and other plants, ornamental lakes and other waterways, a three metre high granite garden wall enclosing an acre, an avenue of alternating pines and cedars along the entry driveway, a tennis court built for the use of Dame Nellie Melba, and a low granite garden wall bisecting the garden and parkland to the south of the homestead. 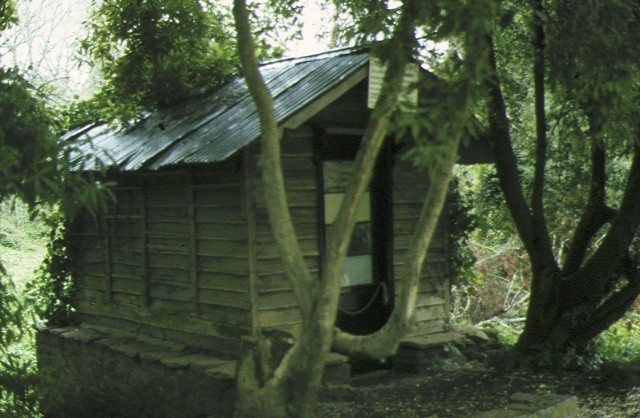 The property contains remnants of the sheepwash, which is of particular significance as a rare surviving examples illustrating a process which became outmoded from around the 1880s. The Learmonth brothers were at the vanguard of merino wool production in the mid nineteenth century. Their pure bred merino flock, and experiments in the handling and drenching and washing flocks were famous throughout the colony. A hydro-electric scheme was installed by Sir Alan Currie in 1925. 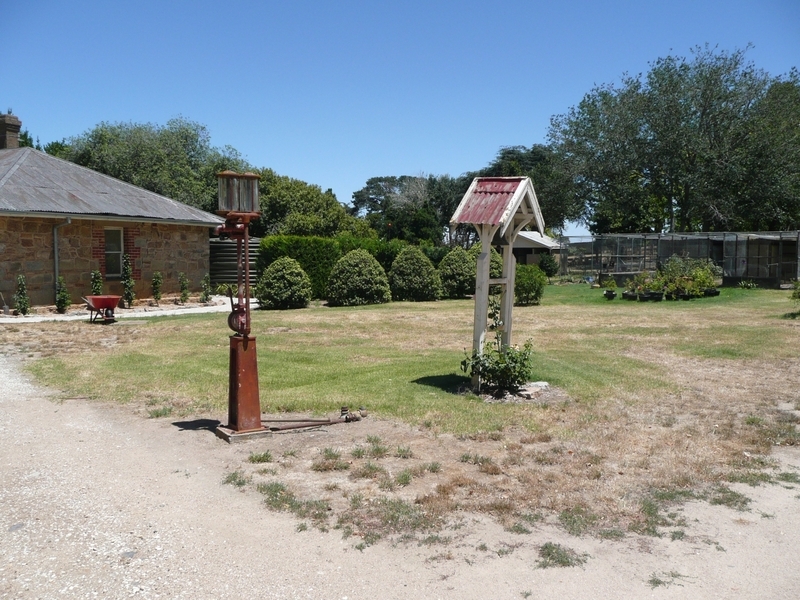 This installation demonstrates a high degree of technical achievement and is one of just three known private hydro-electric schemes in Victoria (schemes also exist at Carranballac, listed on the Heritage Register, and St Fillan at Narbethong). The system though not currently operating appears to retain its main components, including the dams, the holding tank, the water race and the generator. 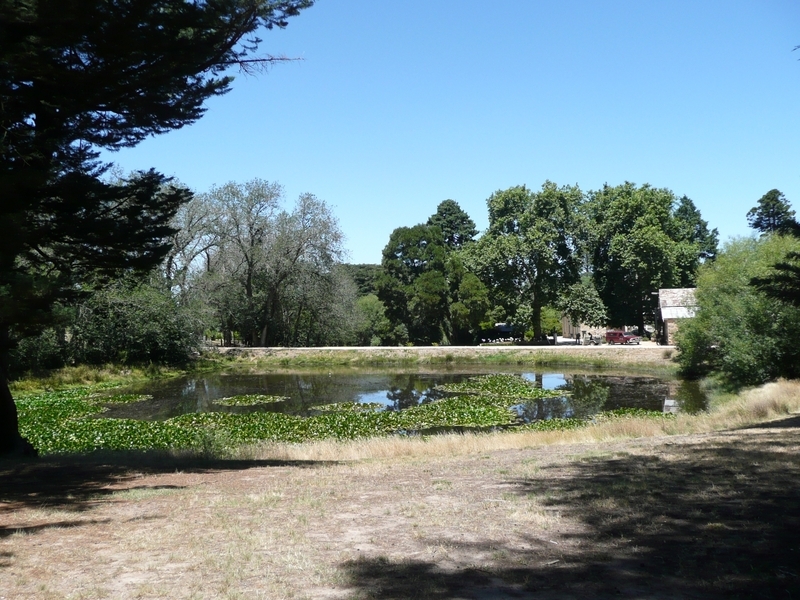 The existence of a series of waterways, where Sir Samuel Wilson developed his fish hatchery, believed to be one of the first trout hatcheries in Victoria. Its strong historical associations with miner, businessman, landowner, politician and patron Sir Samuel Wilson, the owner of Ercildoune from 1873-1920. Wilson was a man of considerable wealth, who had early success as a miner, and later established a supply carrying business to the goldfields. He acquired vast tracts of pastoral land in Victoria and also served the State as a politician. He gave generously to a range of charities and institutions. Sir Alan Currie who lived at the property from 1920 until his death in 1942 had a lifelong association with the Australian turf, culminating with him being appointed chairman of the VRC in 1935. He had been honoured with the military cross for distinguished service in World War 1 and served as a Member of the Legislative Council. It was during the period of the Wilson ownership that Dame Nellie Melba leased the property for a period of approximately six months in 1907, during a break from her overseas concert tours. Apparently she was only in residence for one month, but during that time she oversaw the construction of a hard surfaced tennis court overlooking the lake. * Interior painting and wall papering, provided the preparation work for painting/papering does not remove evidence of the building’s original paint or other decorative scheme. * Painting of previously painted walls, timber and roofing in the same colour. * Installation of hydronic or concealed radiant (eg. under carpet) heating provided that the installation does not damage existing skirtings, architraves, and other surfaces, and provided the boiler unit is concealed from view. * Installation of bulk insulation in the roof space. * Removal of air-conditioners, pipework, wiring, antennae, aerials and making good. * Installation of damp proof courses, by either injection, or grouted pocket method. * Replacement or alteration of existing signage, provided that new signs are no larger than existing signage, and are executed in colours compatible with the buildings. * Erection and alteration of fencing relating to the operations of the property as a farm (erection of star picket and wire fencing) but evidence of any early fence layouts should be retained. * Erection of small outbuildings, including sheds, aviaries, kennels, poultry sheds and the like provided these are located in discreet locations. * Repairs, conservation and maintenance to hard landscape elements including walls, roads, paths, drainage and irrigation. * The process of gardening; mowing, hedge clipping, bedding displays, removal of dead plants, disease and weed control, emergency and safety works. * Replanting the same species as the removed plant, and replacement planting which conserves the landscape character of conifers, deciduous trees, and evergreen trees, as individuals, plantations, windbreaks and hedges. * Non-commercial signage, lighting, security and fire safety provided no structural building works occur. *Repainting in the same colour of previously painted surfaces or to colour scheme as set out in the conservation plan. * Removal of elements not identified as being significant. * Removal of vegetation to maintain fire safety and to protect significant buildings and structures. Permits decisions should be made in accordance with the Ercildoune Conservation Plan, prepared by Falkinger Andronas Pty Ltd for Heritage Victoria, April 1997.